Theresa May has been left absolutely stunned and embarrased by EU Commission President Jean Claude Juncker during a live interview. 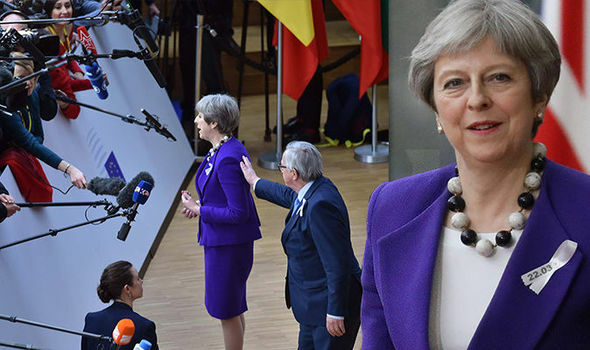 The Prime Minister looked over her shoulder to see Mr Juncker then making his way to his own interviews further down the press pack. She replied simply “Oh, hello Jean” with a wave before carrying on with her interview.The Prime Minister was announcing she is looking forward to locking horns with her fellow European leaders to discuss Brexit when the European Commission President wandered over to say hello. Click here if you agree we should leave the EU now!